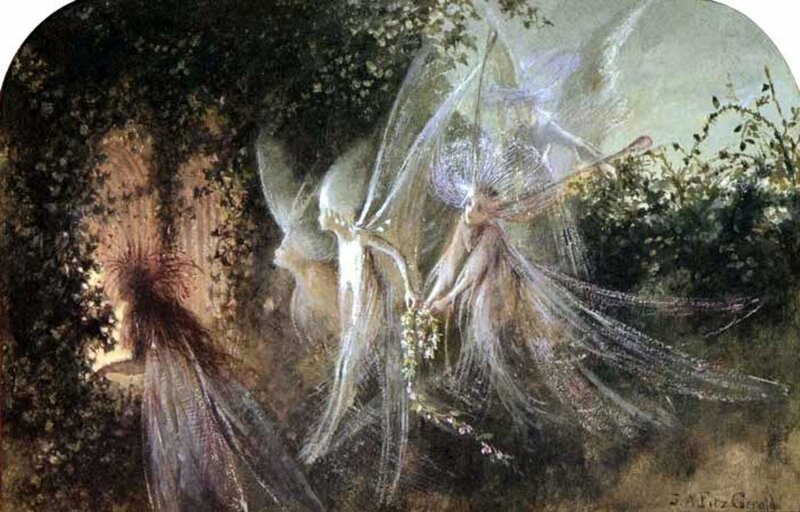 There are two different meanings to the term “Fairy Faith.” On one hand, it simply refers to the old folkloric belief in fairies, and the practices found therein. 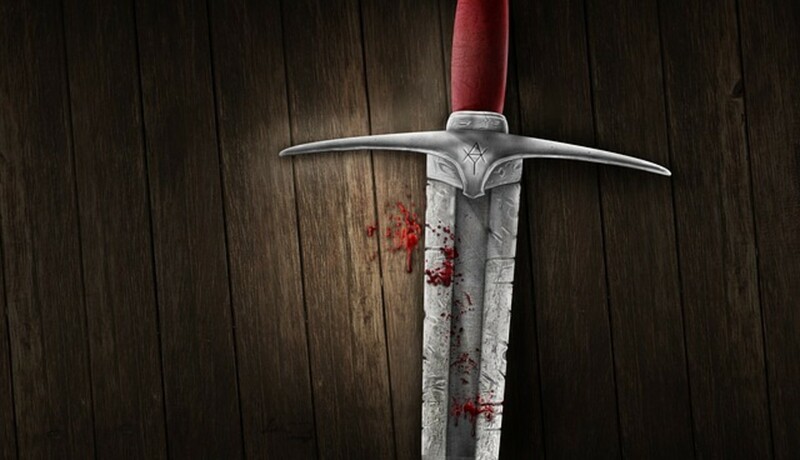 This meaning is usually ascribed to the modern Celtic nations of Ireland and Scotland, where belief in fairies lingered long into the modern era. In this sense, it is analogous to other places where belief in fairy-like creatures continued even into the present day, such as in Iceland and even in some Native American or Canadian First Nations traditions. The second meaning is found in the modern neo-pagan community. It seems that the neo-pagan Fairy Faith sprung from the Wiccan community somewhere around the 1970s in California. 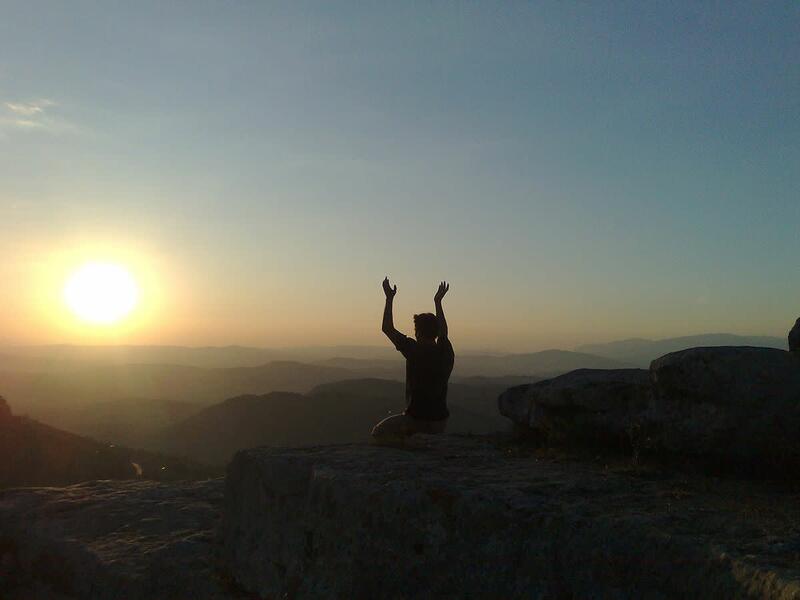 As the modern pagan movement proliferated, many different paths developed. 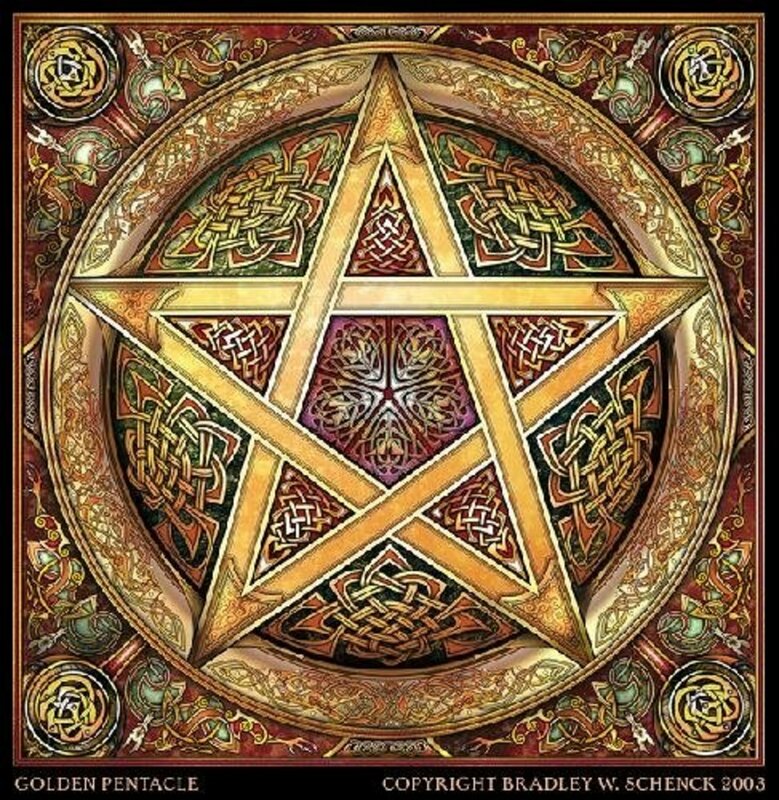 Some were divergent variants branching off of Wicca, while others were born in the reconstructionist movement (reconstructionist meaning attempts to reconstruct the ancient indigenous religions of Europe, the Mediterranean, and elsewhere, with historical accuracy). Yet more versions of neo-pagan paths emerged that were influenced by these, but took their own shape and form. So in the modern pagan community, the Fairy Faith has various incarnations and meanings. This article will focus mainly on the first definition. The modern notion of fairy is vastly different from that which our ancestors knew, and even antiquated descriptions vary widely. 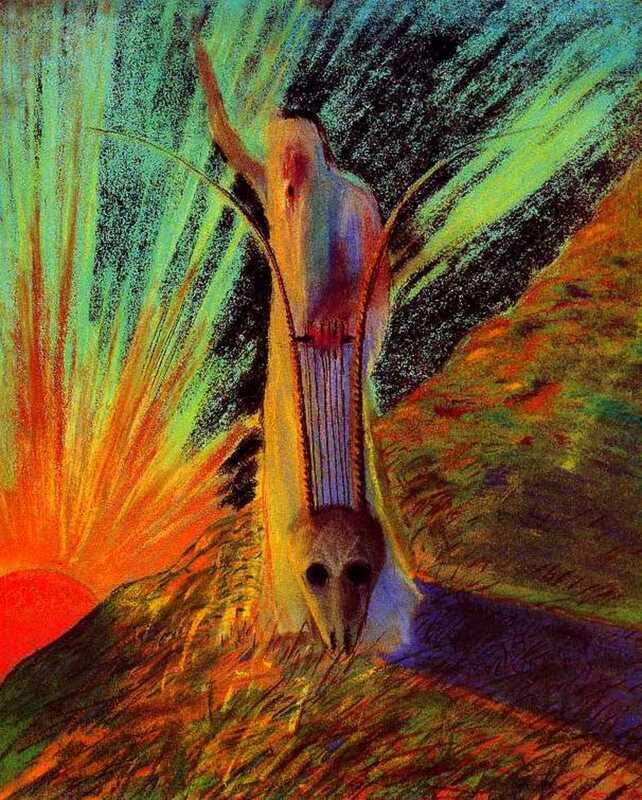 While it’s fair to say that the image of the fairy has changed a number of times, its origins sprang from the murky haze of the Neolithic period. In those times, ancestor worship was a common feature among Indo-European groups. Both the Celtic Sidhe as well as the Germanic Alfar were originally both associated with burial mounds, and therefore appear to have derived from ancestor worship. Human remains, and especially highly revered ancestors such as tribal leaders, chieftains, and great warriors were interred in mounds. A chieftain or hero of the tribe would have been considered a tribal ancestor to everyone within the tribe, especially as tribes were built around the structure of kinship. 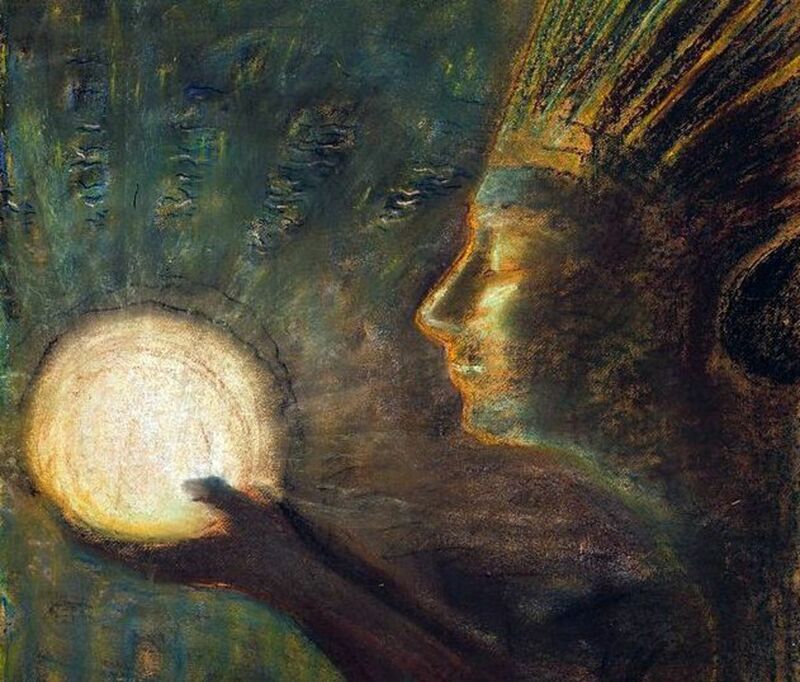 Some scholars speculate that one possible origin of indigenous European deities are persons of renown whose legends grew as they continued to be remembered and honored by subsequent generations. 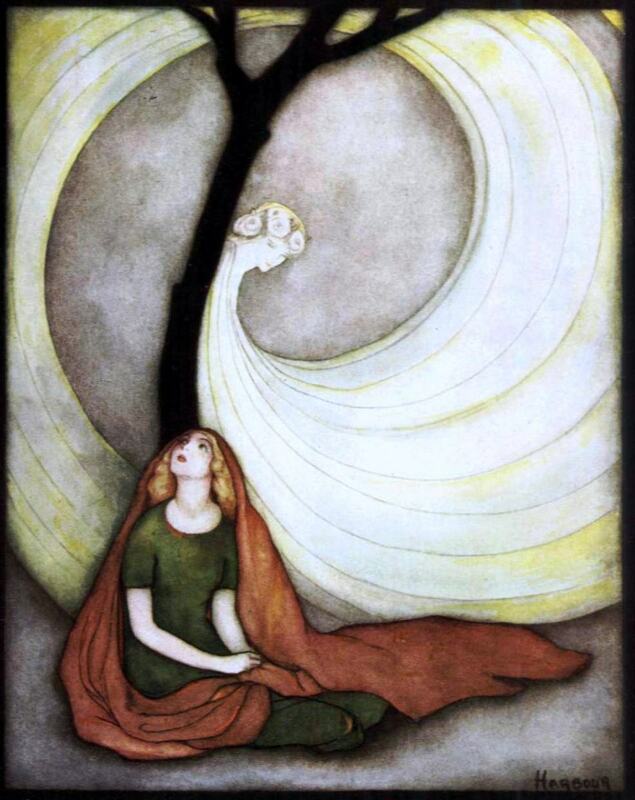 The word sidhe originally meant the mound itself, but eventually came to mean the spirits who dwelt therein. And, alfar is the Norse word from which the modern English word “elf” derives. 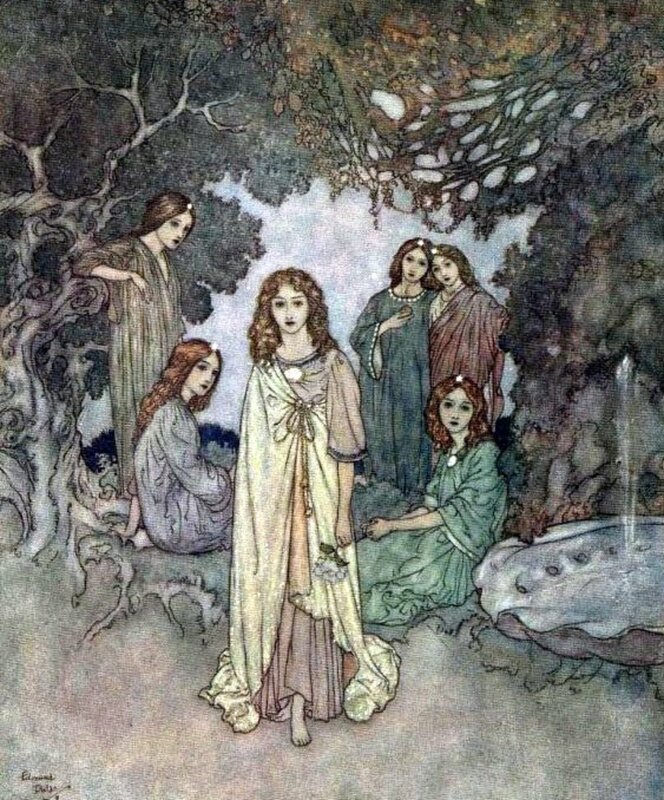 Spirits of the mound are one direct foundation of elf and fairy belief. 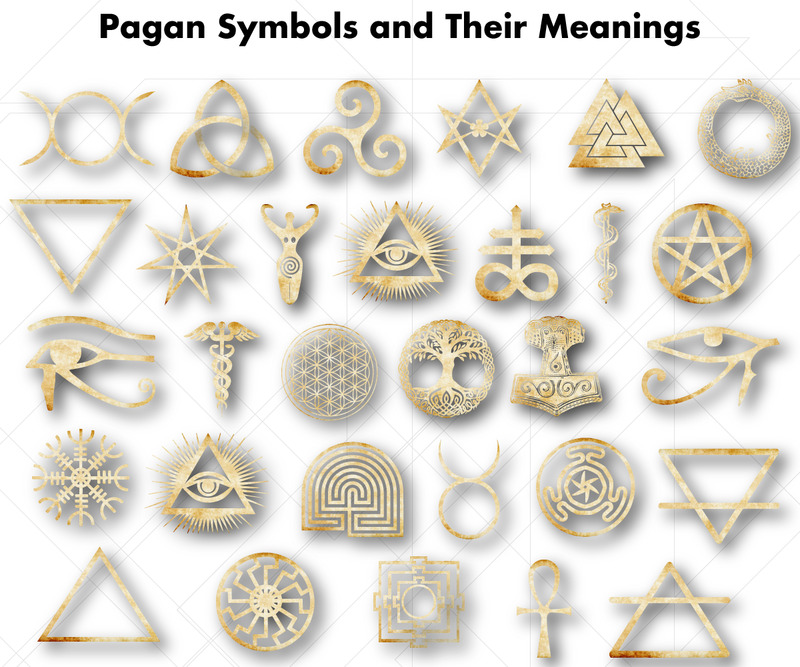 But, the connection may have also come about indirectly by the demotion of pagan gods during the conversion to Christianity. It has been noted that belief in “small spirits” continued on in folk belief for hundreds, and in some cases even a millennia, after conversion. The epic gods may have been diminished into smaller spirits of the land. By small, I don’t necessarily mean stature. But their power and roles were lesser than the mighty and central role that the great gods once played. For example, the Irish gods of the Tuatha De Danann were later associated with fairy lore. 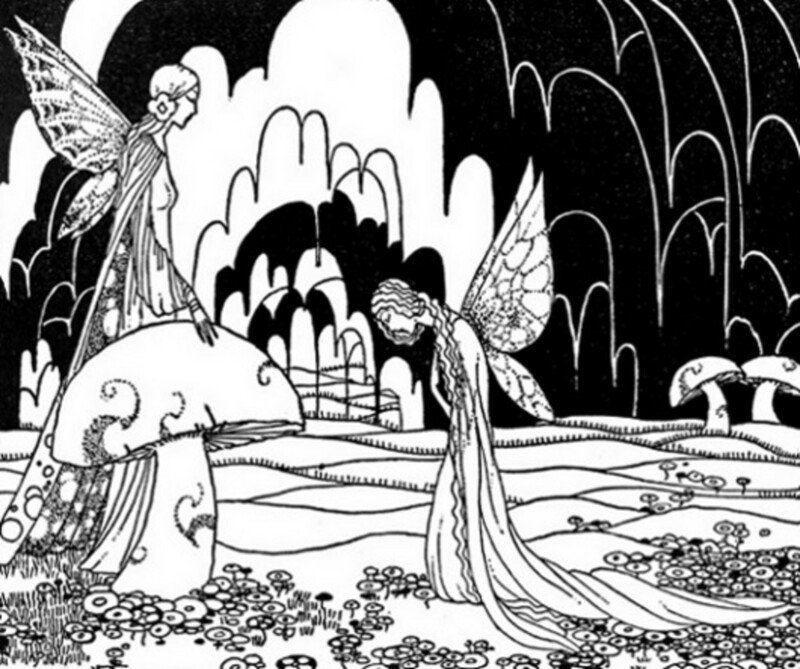 Even into the modern era, fairies continued to be associated with the dead. 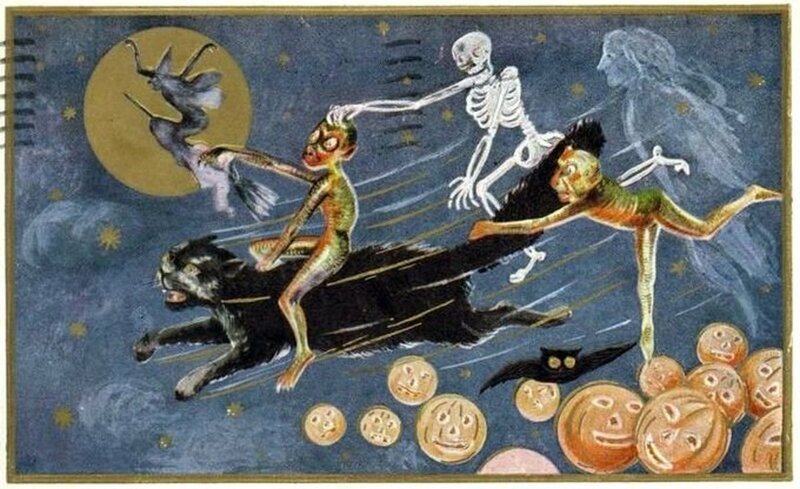 In fact, some folklorists have noted that in folk accounts, there isn’t a clear differentiation between ghosts and fairies (Spence, 87). 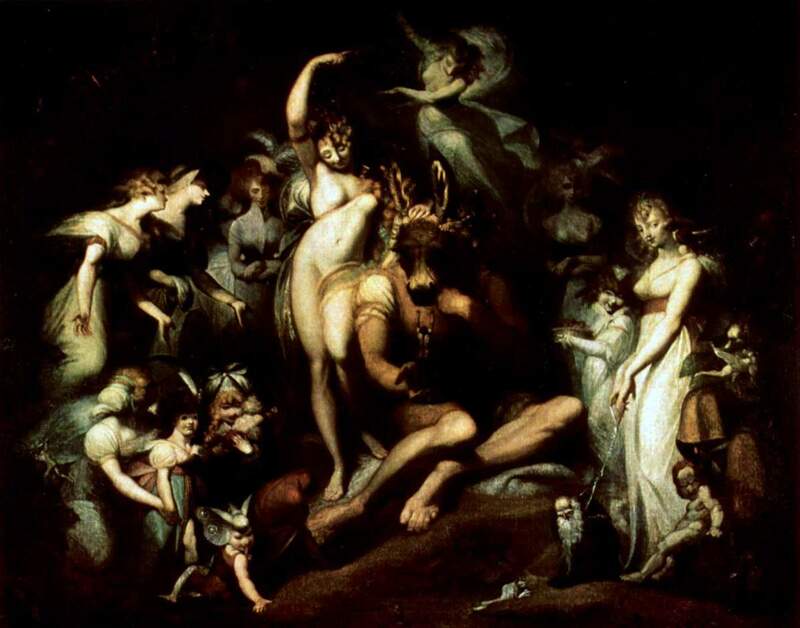 The Otherworld inhabited by fairies was often associated with the land of the dead, and spirits of dead relatives and ancestors were often said to be existing in the land of the fairies. 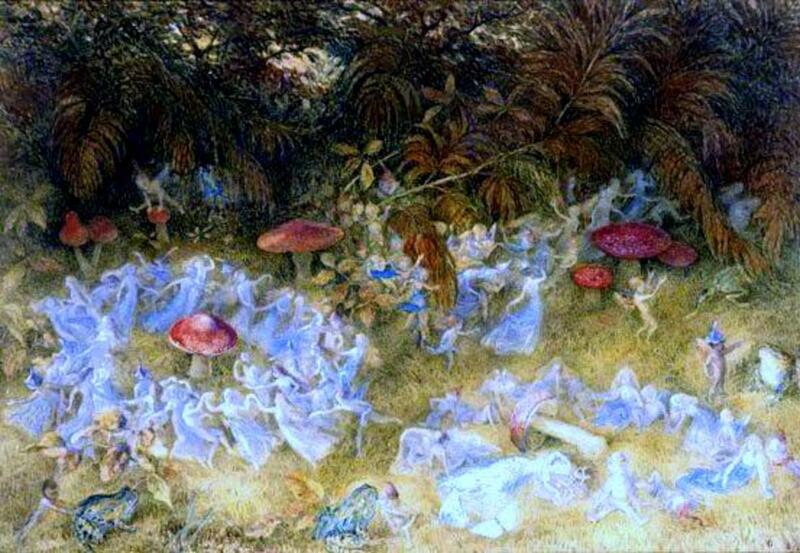 Some folklorists speculate that the notion of fairies could be a cultural memory of the original inhabitants of Britain before they were pushed aside by the incoming Celts. These people may have been smaller in stature, and took to hiding in the forests and mounds as their numbers became increasingly less. They may have engaged in guerrilla war-like tactics as they became ever more adept at disappearing into their wooded environment. Because they had less resources than the Celts, the idea of the indigenous people swapping their sickly infant and stealing a healthy one from his cradle is one hypothesis for changeling tales. So we can see that there are numerous influences and hypotheses for the origins of fairy lore. To complicate things, the term fairy would later be used to describe all manner of otherworldly spirit. There are tales of demon or ghost dogs, for example, that are described as fairy. The word “fairy” itself is a departure from the early notions of sidhe and alfar ancestor spirits. 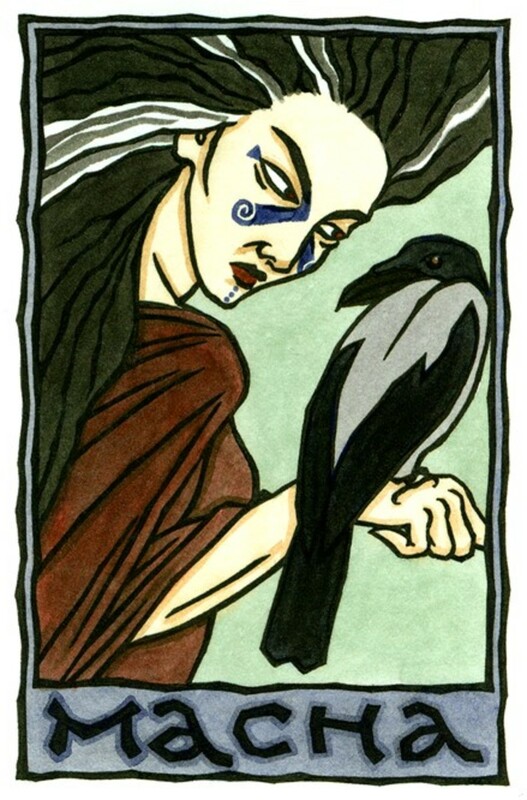 It comes from fatae, meaning the Fates from classical mythology. Fatae evolved into the noun fay. 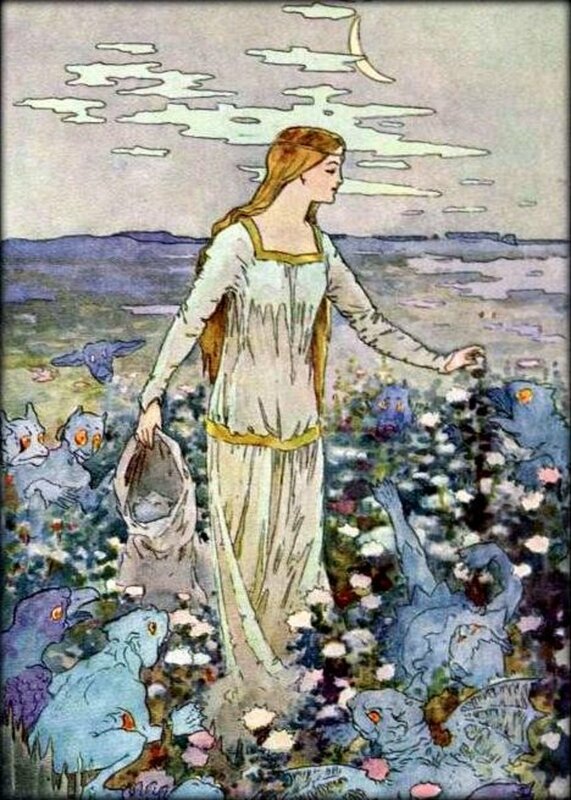 Those who wielded the power of the fay could bring about a state of enchantment called fay-erie, which developed into the modern fairy ( Briggs, 131). So, we can see that in the modern English speaking world, the concept of fairy has numerous foundations, notwithstanding the fact that most cultures worldwide contain their own unique beliefs about fairy-like beings. 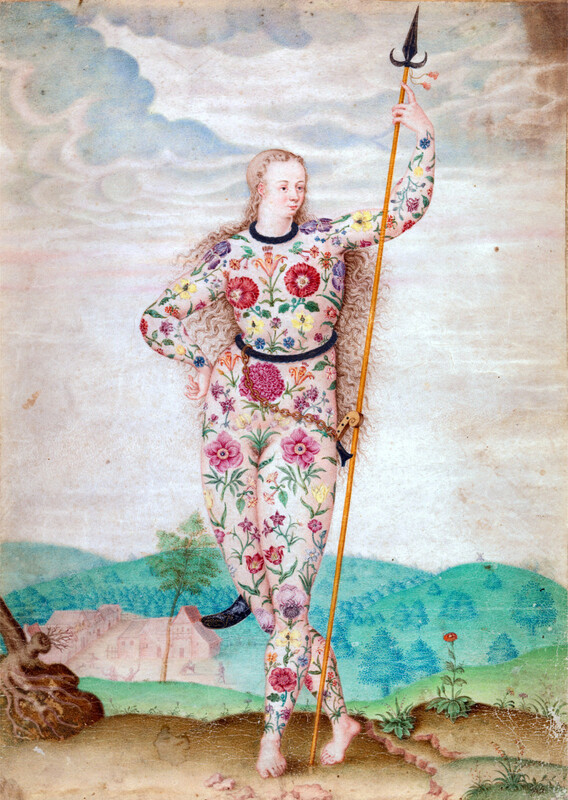 As Christianity arose in Celtic and Anglo Britain, the indigenous fairy beliefs were grafted into the Christian lexicon, altering beliefs further. Not only did powerful deities of mythology become shrunken into fairy lore, but ideas about fairies changed to fit the Christian paradigm. 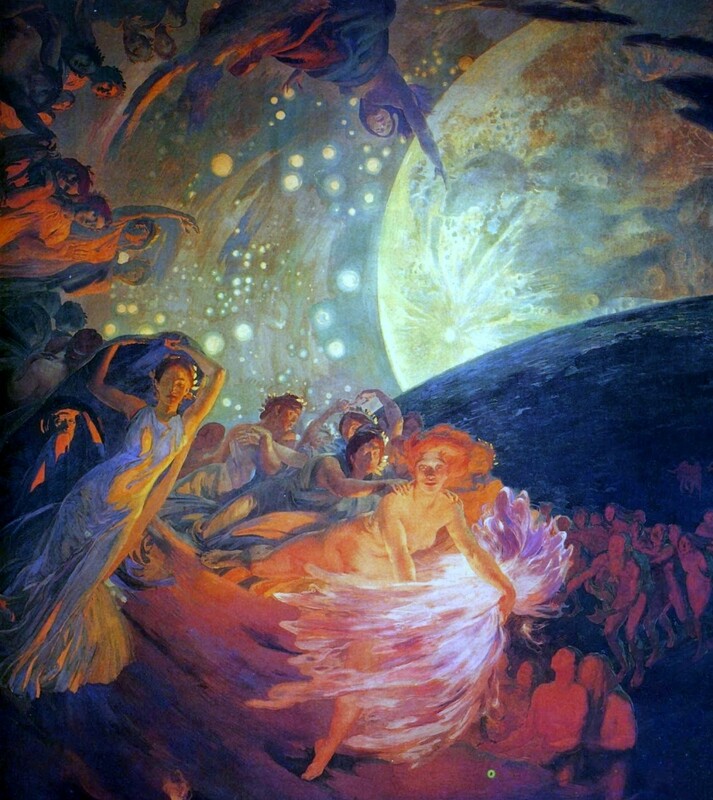 Instead of being spirits connected to Earth-centered spirituality, it began to be said that fairies were the fallen angels. Another story is that they were angels who had refused to take a side during Lucifer’s revolt, so they were damned to exist between heaven and hell for eternity. Because the Judeo-Christian pantheon has only God (as trinity), Satan, angels, demons, the Virgin Mary, and the saints, these extra-biblical indigenous spirits had to be made to fit a biblical context. Thus, they were relegated as demons by Church leaders. And while this may sound very medieval, later Protestant Reformation writers were especially forceful in their condemnation of fairies as demons. People found to be interacting with fairies could be charged with witchcraft. 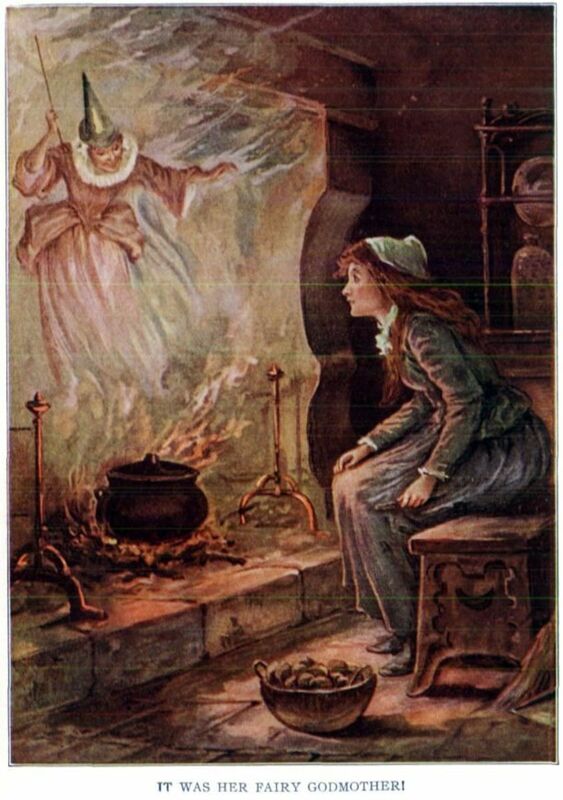 In fact, fairies feature prominently in Scottish witch trial records and were discussed in detail in leading demonology texts written during the witch hunt era. 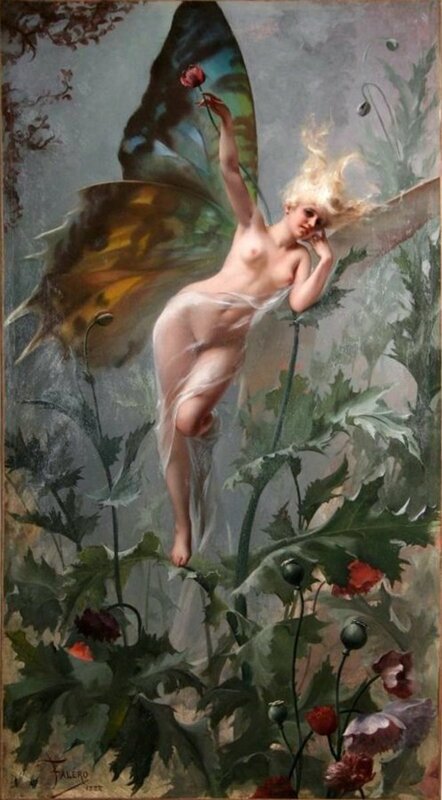 The image of the sweet little pixie with butterfly wings comes strictly from the Victorian Era. 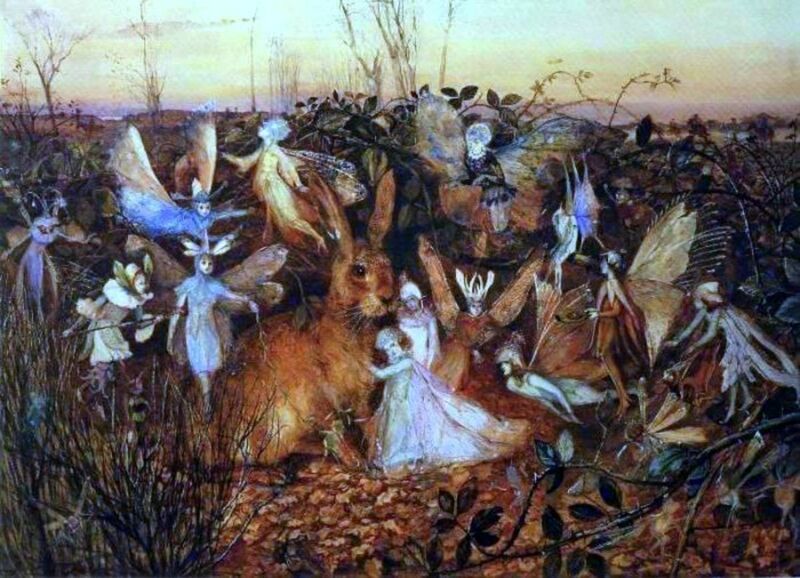 In folklore, fairies have many different descriptions. Spirits who live closely with humans, such as domestic elves, tend to look like little old men dressed in antiquated clothing. This likely connects to the alfar’s evolution from an ancestor spirit as described above. In an age when property was handed down through the generation, it was believed that the original owner of the homestead lingered on as guardian. The propitiation of domestic spirits was common all across Europe, as well as elsewhere in the world. Due to early Christianization of Celtic lands, domestic spirits are not as common in Celtic folklore as elsewhere – except for in Scotland. This is due to the heavy (but sadly overlooked) Germanic heritage in Scotland. The brownies of Scotland fit snugly into the house-elf tradition seen elsewhere in Germanic culture. Another change in the modern view of fairies is their role as benevolent and spritely elemental spirits. While these supernatural beings were long associated with nature, it was often in a frightful way. 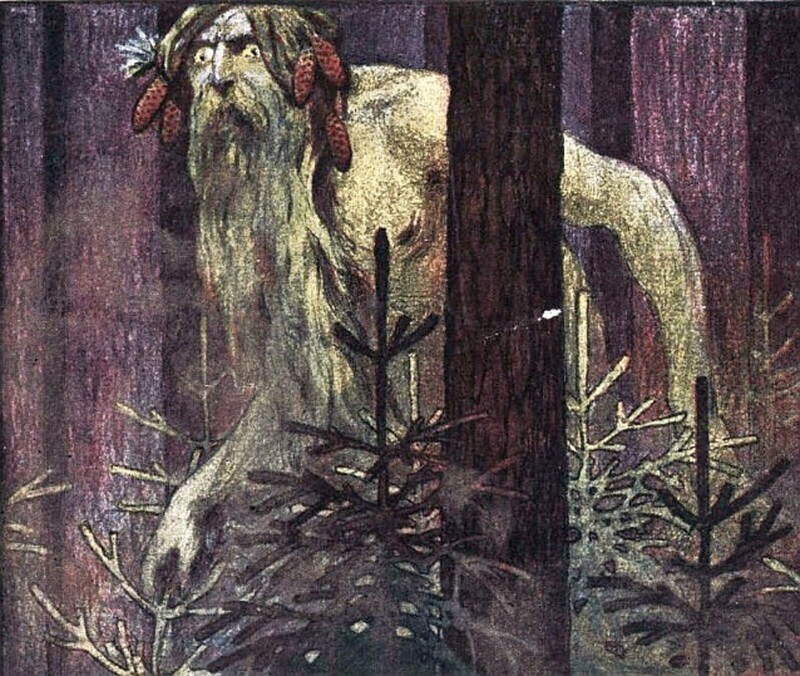 Far from the gentle winged fairy, we might have the gargantuan leshy, guardian of the forests in Russian folklore. Leshy is thought to be a cousin of the Celtic green man, another ancient guardian of the forest. Forest spirits were known to be wily. They might lead the careless wanderer off their path and then disappear leaving only their echoing laughter as the traveler finds himself lost in the wilderness. Likewise, water spirits might seduce a young fisherman only to pull him to his death beneath the waves. (For more on forest spirits, click here). Just as fairies evolved into innocuous, playful sprites in modern times, they also went through transformations in the past. It seems that every major age in civilization brings with it a change in fairy belief. From ancestor mound spirits in the Neolithic, to more advanced and god-like notions in the Bronze and Iron Ages, and then another change when Christianity swept through Europe. Great and powerful spirits were relegated to smaller realms. And, good or neutral spirits became seen as strictly demonic. We tend to view fairies, and the like, as not only innocuous, but fairly silly. Those who profess to believe in them today are laughed at by mainstream culture; derided as not only misguided, but even dim-witted. 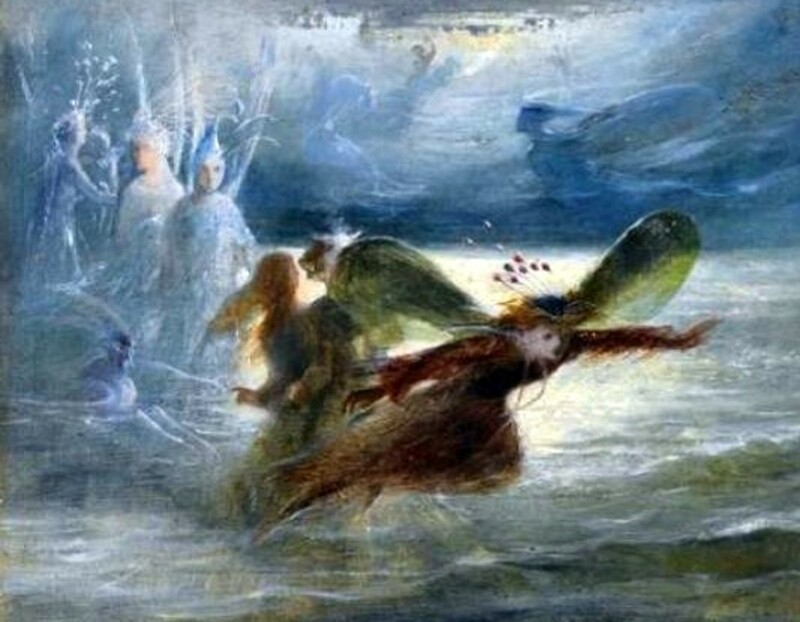 Yet, from the beginning of Europe’s conversion to Christianity, which began in the 7th century in England (13th century in the Baltic, elsewhere in between) up through the Early Modern Era (circa the 16th and 17th centuries), belief in fairies was quite dangerous. The Church (both Catholic and Protestant) recognized fairy belief as a vestige of pagan religion, which therefore made it a threat to Christianity’s control over the peasantry. 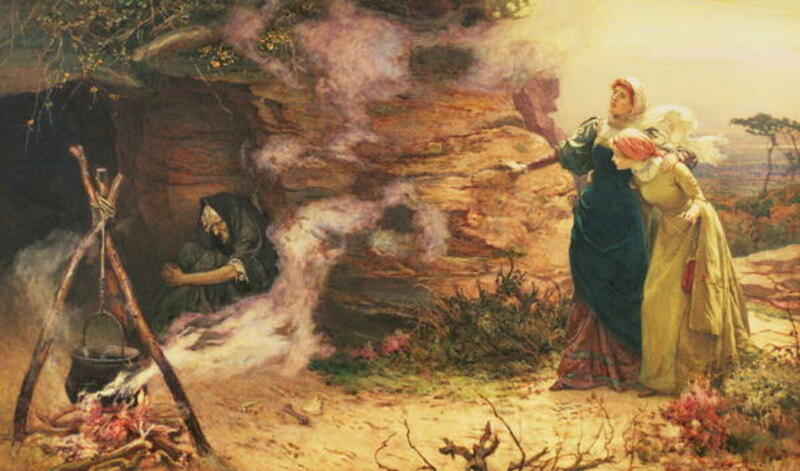 And, during the turbulent years of The Reformation, fairy belief could get an individual accused of witchcraft. An excellent book on this is European Mythology by Jacqueline Simpson. Rather than focusing on the great gods of classic mythology, this book focuses on fairies and folk tradition. She explains that there is a huge difference between fairy belief found in folklore and the other genre that often gets lumped together with it; fairytales. Simpson says that fairytales are told mainly for entertainment, while folklore “is concerned with supernatural forces as real entities, to be reckoned with in the everyday world, and not just as material for entertaining…” (Simpson, p8). These supernatural beliefs were part of the “folk religion” of the common people. Folk religion is the corpus of beliefs held by masses, which usually combines the formalized religion of the elite (typically Christianity in the West and lands colonized by the West, but also seen with other major world religions in other parts of the world) with the indigenous beliefs of the people. So, popular religion did not imply that the people held a notion of self-identity as being pagan. They considered themselves strictly Christian. But, many of their beliefs, traditions, and practices retained elements of ancient pagan spirituality mixed with Christianity. And, a large part of that in Britain, and elsewhere, hinged on the belief in fairy spirits. As noted in the above quote, popular religion was expressed in the folk practices of the people. One practice found all over Europe that demonstrates the religious nature of fairy belief is the act of making offerings. Offerings are made to deities in many world religions through the ages to today. Even in Christianity, Jesus is called “the sacrificial lamb” and his act of dying on the cross is supposed to replace the Jewish practice of animal sacrifice. Animal sacrifice also occurs today in Islam, as well as other religions. 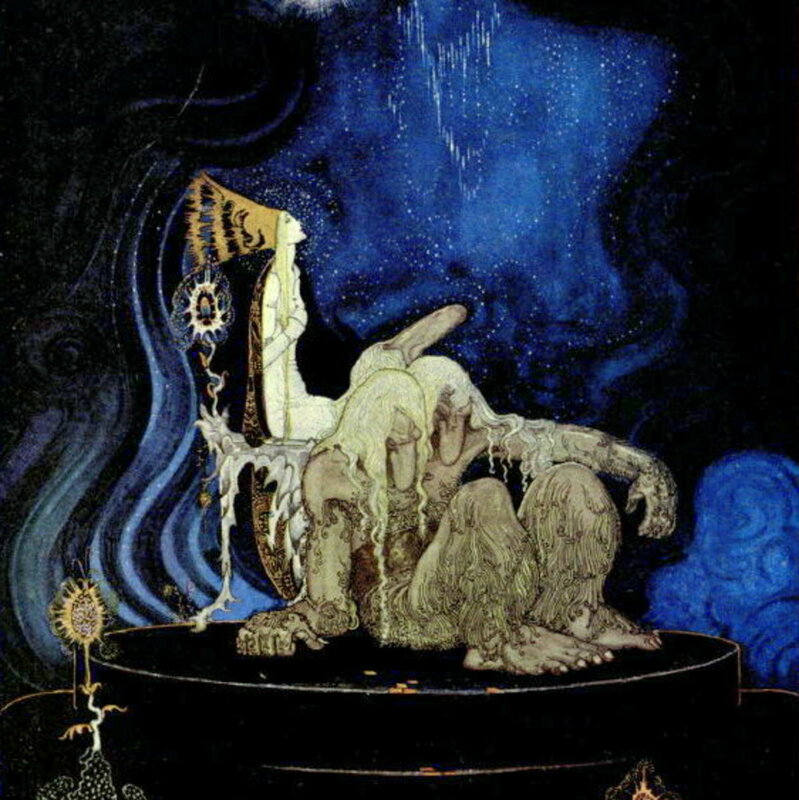 The kinds of sacrifices traditionally given to propitiate fairy spirits are more akin to offerings found in some Eastern faiths, such as Hinduism or Buddhism today.Rather than slaughtering an animal for blood sacrifice, offerings given to the fae are typically in the form of food and drink, with grains and dairy featuring prominently. This is true for both domestic and certain types of nature spirits. Offerings were not restricted only to domestic spirits, but also given to fairies residing in nature as well. 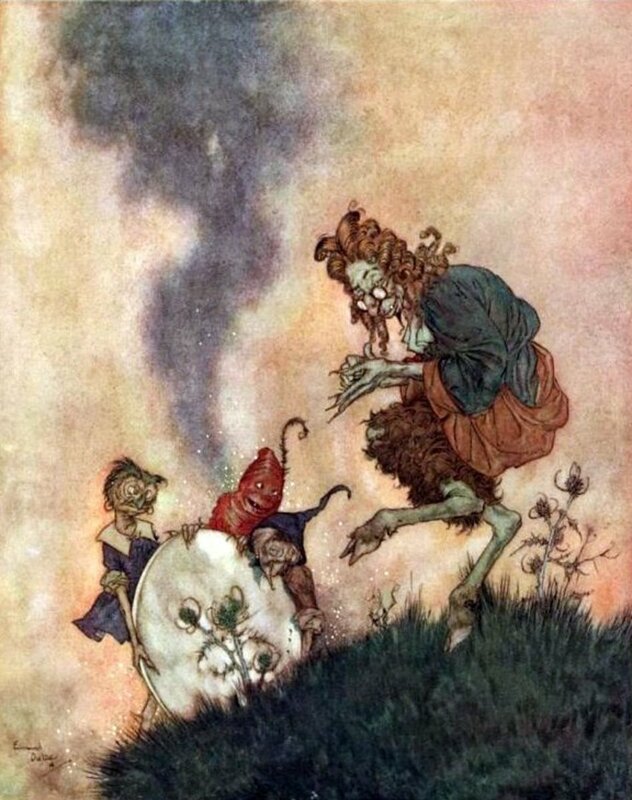 In her book, Spirits, Fairies, Leprechauns, and Goblins: An Encyclopedia, scholar Carol Rose mentions that salt and bread are traditional offerings given to the Russian forest guardian, the Leshy (Rose, p197). Offerings could take form other than food, especially when given to nature spirits. Coins are a common offering to water deities and fairies. You have probably given this offering yourself, throwing a coin into a wishing well. Pagan belief carried a heavy dose of “you scratch my back and I’ll scratch yours.” If you desire to receive something from a spirit, i.e. make a wish, then you must give it something in return. And, so, we still toss coins into wishing wells for the water fairies in return for wishes granted today. Ribbons and pieces of cloth strewn about the branches of trees are another such custom that continues clear across Britain today. The Fairy Faith lives on today, even if it is not recognized among world religions. Many of us engage in certain behaviors without even realizing we are acting out an ancient pagan fairy rite, such as leaving out a food offering for Santa or tossing coins to a water well goddess. Folklore lives on in many remote corners of Europe, where people still insist that they have had an interaction with or siting of a fairy. With the rise of neo-paganism in the past thirty or so years, fairy beliefs have regained a home inside the lexicon of religion. 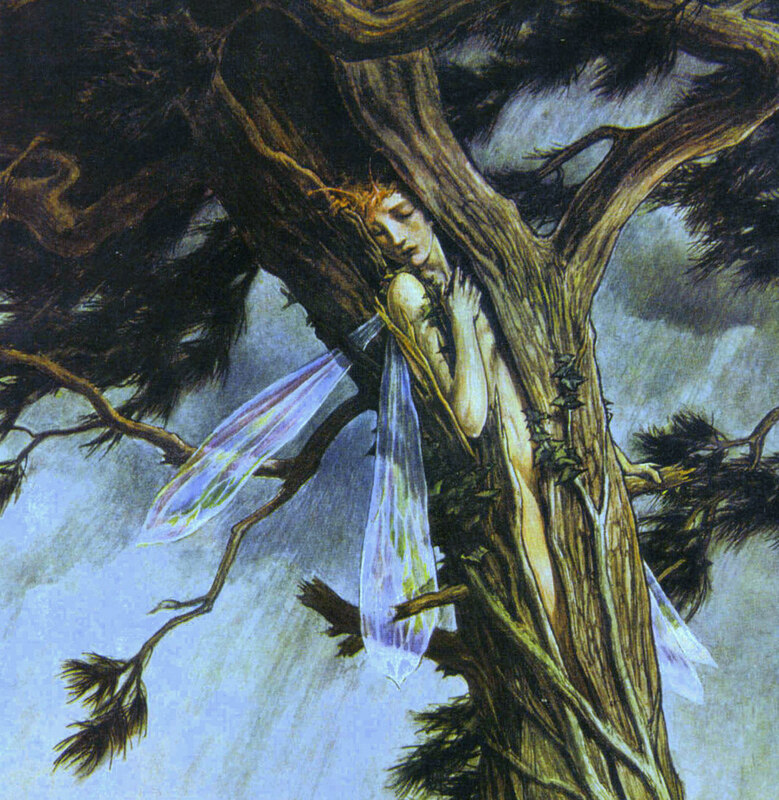 While many modern pagans assert a belief in fairies and other similar spirits as one component of their wider belief system, others make fairy spirits the central aspect of their religion. And, while this may seem like a niche cultural subgroup, online book sellers offer numerous titles on this subject, demonstrating that this niche has an ever growing following. Thanks for your wonderful research. all for the need to believe that there is a more loving dimension? Which is totally different from the Greek & Ancient Egyptian Gods & Goddesses mythology - that did not just focus on love, safety, harmony and being one with nature --- but rather on power, greed, fights and more "human-like" behaviors. Did religions originally come to open the door to such bountiful metaphysical world - beautified by love, compassion, harmony; a door to infinite possibilities that carry all that is good? Metaphorically, did religions originally appeared as a fairyland but then got transformed to the Greek/Ancient Egyptian Gods & Goddesses, not enchanting but rather fearful & forceful? Excellent information. Thank you for sharing ! Pookie here, Lantokey being my 'login'. A lantokay (the correct spelling) is a sacred grove for druidic ritual. Whilst in the real world i consider i spend far too much 'tyme' in the phantasy realm, hours in fact but to shake this off i go into the woodland to experience the 'ethereal realm. You'll be surprised what i have sensed there! This was a unique post. Wonderful hub! My girlfriend and I are both very into Fairies and in fact she is an artist who works a lot with Fairy themes as well as creating Fairy houses. What an enchanting hub on the fairy faith. I love your vast knowledge on everything fairies. Voted up for interesting! I had NO idea there was so much to know on this topic. You have filled in so much knowledge for me that I was lacking. It was so detailed and brimming with information that is fascinating. Lovely article, and very in-depth. Thank you for posting! Excellent hub... beautiful and a fascinating glimpse at history. Thanks for the list of references as well, now I have a few things to add to my reading list. What an interesting read. Where I grew up in Asia, we were Catholics but we still recognize that there are other spirits around and we had words in our local dialect to refer to these various spirits. As you know, ancestor worship is very strong in Asian cultures even up to now. Wow, this is such an interesting read. I did not know all of this. This is an interesting and well-researched article. I suppose a related topic is the connections between stories of pagan gods and goddesses and of Christian saints, e.g., Saint Brigid or Brigit. Re popular religion, guardian angels were very much a part of my Catholic upbringing as were saints associated with safe driving, with finding lost objects, with selling a house, etc. Re fairies, I have read a number of supposedly eyewitness accounts of seeing elementals, including fairies, as well as spirits of woodlands, waterways, etc. In these accounts, the spirit can take visible form (between light and matter) at will, including clothing. Is that the usual meaning of a fairy now? It is interesting that the origins of fairies was not always as cute and wholesome as Disney would have us believe! I'm impressed that there is so much behind this topic. You did a marvelous job with your presentation of it. Very engaging writing and beautiful images. Voting up and more! Thanks for sharing such an interesting and detailed article about the belief in fairies, Carolyn! Fascinating read! Voted up. Thanks for another great article.